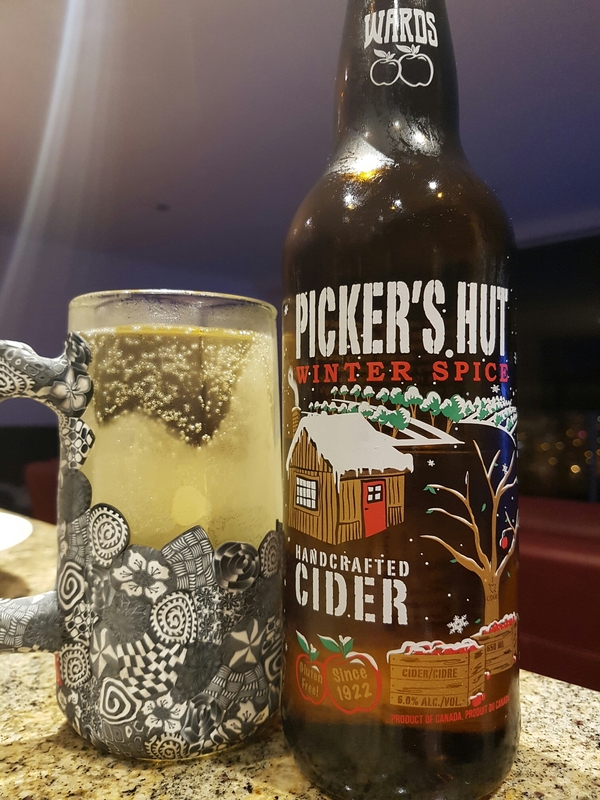 Wards Picker’s Hut Winter Spice Cider – The View Winery (Kelowna, BC, Canada) | Justintoxicated. Visual: Pours very light straw yellow with big soda-like CO2 bubbles clinging to the side of the glass, clusters of active streams, no head. Finish: lingering apple-white grape, cinnamon, nutmeg, tart sticky gums. Summary: A pleasant and soda-like sweet flavour (if you like soda which I do) with decent complexity, but the sugariness and cloying texture feel cheap and unsophisticated.